Lewis Hamilton was at a loss to explain how just how he kept Nico Rosberg at bay in the closing 10 laps of an utterly exhilarating duel between the two Mercedes drivers in Sakhir. Hamilton's advantage built up on the soft tyres vanished after the safety car was required following Esteban Gutierrez's crash on Lap 41. Several times after the restart Rosberg was able to pass on the inside of Turn 1 but Hamilton would get back again, and he admitted he was thrilled to have emerged victorious. "It was exciting," Hamilton said. 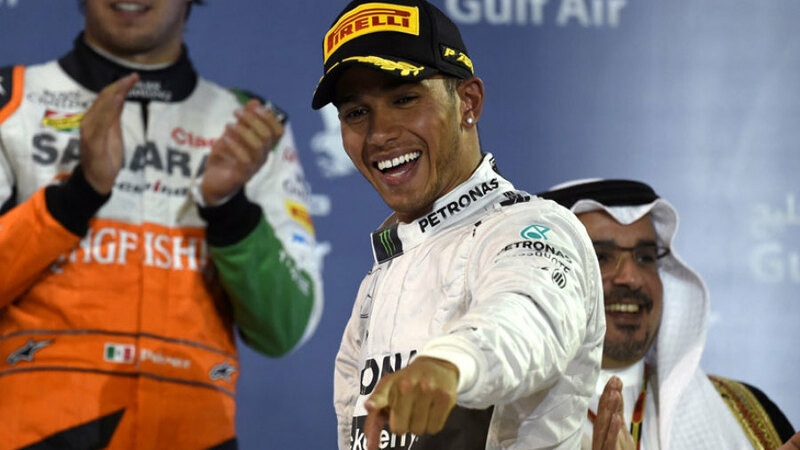 "Nico drove fantastically well, very fair, and it was hard to keep him behind at the end. I was on a knife edge the whole time. It was a relief when I crossed the line. When you do allow him to go past, obviously you don't plan him to come past but you have to calculate how you get back. Every time I did it perfect and I was really, really happy to enable that. He had the tyre so I thought he was coming by at some point but that last couple of laps I was able to hold onto it. It was killer. It was to the max, like, the hardest thing There's like six-and-a-bit tenths [difference] on the tyres. When he was on the medium and I was on the [soft] I didn't really have a great pace." Hamilton took the lead from Rosberg into Turn 1 off the start but he insisted he actually felt he was off his best throughout the race. "Generally this weekend, since qualifying, I've really struggled. Particularly in qualifying I had an issue with my braking system which was changed before the race. I thought maybe that would give me a little bit more time but I really struggled during the race. At the end when the Safety Car came out I had a 9.5 second lead and I was thinking 'OK, hopefully this is enough'. But jeez, he was so quick at the end and to try and stay ahead of him in the DRS zones was so hard. When I came across the line my heart was so relived."